As one of the market leaders in luxury serviced apartments in Bucharest, Corporate Apartments has a large experience working with some of the biggest and most demanding companies in the world. In the short term/long term rental apartments arena in Bucharest, we are the preferred supplier of apartment rental for some of these big companies, which come to us for professional and complete housing solutions for their people. 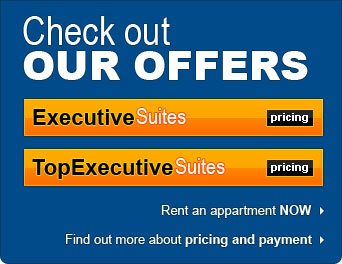 Luxury serviced apartments Bucharest - corporate housing at its best!